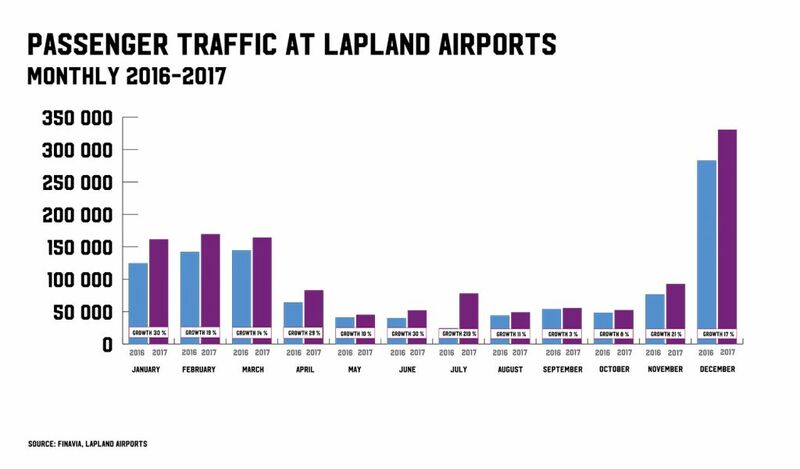 Interested how flight traffic changes during the year in Lapland? See below more information about passenger traffic in Lapland during 2016-2017. View a full-sized version Lapland Passenger Traffic Monthly of the infograph here.